When Ho Tsun-shin 何進善 (alias Ho Fuk-tong 何福堂, Ho Yun-yeung 何潤養) was ordained a London Missionary Society  priest in 1864, he knew he had just become the first Chinese Protestant minister in Hong Kong ; what he didn’t know was that his name would one day be placed atop (on the Chinese side) a family tree, one that depicts the origin and the early evolution of the Chinese medical community in Hong Kong. Son of a second generation immigrant worker in Malacca, the Rev. Ho Fuk-tong was born in Xiqiaoshan, Nanhai, Guangdong 廣東省南海縣西樵山 in 1817. In his teens, Ho was sent to Malacca to join his father and grandfather who worked at the Anglo-Chinese College, later to be known as the Yang Wah College 英華書院, both as woodblock cutters (one who carves woodblocks for use in printing) in the school printing press.When Ho turned twenty years of age, he was admitted to the College, which was established and run by LMS for the purpose to scout bright ethnic Chinese as missionary candidates and prepare them for evangelistic works. Ho was baptized the following year. Always an eager and quick learner, Ho was well liked by the school headmaster Scottish missionary James Legge 理雅各 (b.1815-d.1897) who went on to teach Ho theology and the languages of Hebrew and Greek. At times, Ho would assist Legge in teaching as well as preaching at the College. Following the British occupation of Hong Kong in 1841, the College was moved from Malacca to Hong Kong in 1843. Ho moved with Legge and there he continued to study theology while working for the college and preaching. In 1864, he was ordained and in stages was put in charge of the Union Church 香港愉寧堂 . Meanwhile, the Rev. Ho traveled quite extensively to Guangzhou (Canton), Dongguan and Foshan doing missionary work and building new churches. Ho narrowly escaped death when an anti-Christianity riot broke out in front of the new LMS church in Foshan on the very day it was scheduled to open in 1870. Survived but a broken man – both physically as he was quite badly beaten and mentally, he suffered a stroke upon arriving back in Hong Kong and died on February 15, 1871 in Guongzhou, at the age of 53. The Rev. Ho’s was not only a fast leaner when coming to gospel and ancient languages, evidently, in wealth management as well. He started buying and selling properties as early as in 1846 – three years after he landed in Hong Kong, at which time he purchased a lot in the Lower Bazaar , for HK$150. Two years later, he included money lending in his earthly extracurricular activities. In such first transaction he lent HK$400 on a security of a Lower Bazaar lot charging an interest of five per cent per month. His business appetite, which grew as successful deals replicated themselves, reached yet another benchmark when in 1862 – two years before he was ordained - he paid LMS a sum of HK$26,325 for a portion of the Society's original properties. By then, his business dealings went beyond Hong Kong and became well-rooted in his native county of Nanhai. When he died in 1871, his estate was sworn at over HK$100,000, which amounted to about a quarter of the annual profit of the Hongkong and Shanghai Banking Corporation for the same year. This wealth afforded his children a good education and further enabled them to move in the right circle in the society. Ho Fuk-tong had five sons and six daughters. Kuan Huang 黃寬, alias Wong Fun, Wong Foon, Huang Jiechen 黃傑臣, Huang Chuoqing 黃綽卿, was born in 1829 and hailed from the same county as Dr. Sun Yat-sen, Xiangshan in Guangdong 廣東香山縣 (Sun would be born, however, 37 years later than Huang). Having both parents died when he was very young, Dr. Huang was raised by his paternal grandmother until he left for Macau in 1941, at the age of twelve, and there he attended the Morrison Education Society School. When the Yale-trained school headmaster Samual Robbins Brown decided to move the School to Hong Kong, Huang along with ten other students moved with the Brown on November 1, 1842 to the newly established British colony. Five years later in January 1847 the Rev. Brown and his wife returned to the United States and along they brought three students. The purpose was to expose them to Western education and ways of living . They were Kuan Huang; Yung Wing  and Wong Shing , all of them were from the Xiangshan County - as were most of students in the School. Huang, as were the other two, was placed at the Monson Academy  in Massachusetts where he graduated in 1849 with a degree in literature. From Monson he went to read medicine at the University of Edinburgh and graduated with the M.B. qualification in 1855. He continued with postgraduate work in pathology and anatomy and obtained M.D. in 1857. Dr. Huang set the records as the first Chinese to study abroad in a university, to qualify as a physician and to attain the M.D. qualification. The education of the boys in the West were sponsored by several foreign residents in Hong Kong including Andrew Shortrede, a Scot and founder / publisher of the newspaper China Mail; A. Campbell, another Scot and a merchant; and American businessman A.A. Ritchie. Free passage from Hong Kong to New York (via Shanghai) was offered by David, Talbot and Robert Olyphant, the three brothers who owned the New York based The Olyphant Brothers, a mercantile and shipping operator that also had offices in Hong Kong and Guangzhou (Canton). I take my hat off to these warm-hearted persons. They did make something out of these young men who in turn inspired so many others in Hong Kong and China. Monson Academy in Monson was established in 1804 and in 1847 it became the first American school to enroll Chinese students. Monson Academy and Wilbraham Academy merged in 1971 and became Wilbraham & Monson Academy, which is still running today. It was said in some sources that Dr. Huang came to Hong Kong and worked for a LMS hospital after finishing school in Edinburgh but according to my notes, there wasn’t any LMS hospital operating at that time – the Hospital of the Medical Missionary Society 傳道會醫院 was closed in c.1853 and the Alice Memorial Hospital would not open until some 30 years later. He did however open a dispensary in Hong Kong, possibly connected with LMS, which he closed after one year. This was, probably, how he met and later married the Rev. Ho's daughter. Anyways, Dr. Huang moved on to Canton (Guangzhou) to work at the Kam-li-fau Hospital 惠愛醫館 in 1858. The hospital was founded by medical missionary Benjamin Hobson who opened the Medical Missionary Society Hospital in Hong Kong. After a two-year stint at Kam-li-fau, Dr. Huang left and started his own practice, while providing pro bono service to the Canton Hospital, also known as the Pok Tsai Hospital 博濟醫局. In the same year, 1860, Dr. Huang conducted an embryotomy in 1860, the first in China. He left behind his private practice in 1862 for Beijing to become Li Hongzhang’s medical advisor – Li would became the patron of the Hong Kong College of Medicine for Chinese (HKCMC) from 1889 until de died in 1901. Dr. Huang found himself not suitable being surrounded by bureaucrat day in, day out and quitted his commission only after six months and returned to Canton to resume private practice. He continued to render assistance to the Canton Hospital where in 1867 he was appointed acting Superintendent of the Hospital when John Kerr went on furlough, during which time he conducted the Hospital’s first autopsy. He also taught Anatomy, Physiology, Chemistry and Practical Medicine at its medical school. In 1863, Dr. Huang became the only Chinese doctor, among seventeen doctors, appointed to the Canton Customs Medical Service which was organized by Robert Hart, the Inspector General of the Chinese Maritime Customs Service (1863-1907). When the Cholera epidemic broke out in Canton in 1873, he made important contributions to the diagnosis of the disease. Dr. Huang became a Joint Chairman of the West-South Medical Bureau 西南施醫局主任 in 1875, the last official position he held before he died on October 12, 1878 from brain necrosis. The marriage between Dr. Huang and the daughter of the Rev. Ho didn’t work out; they divorced soon after the passing on of Ho. Dr. Huang never married again. 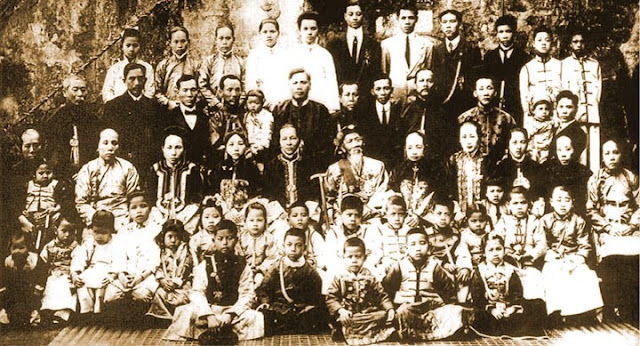 Ho Kai had sixteen children with second wife Lily Lai Yuk-hing, nine sons and seven daughters. None of them were doctors. Little was known about Alice Walkden, the English woman Ho Kai married in London in 1881, ten years after the passing on of the Rev. Ho. 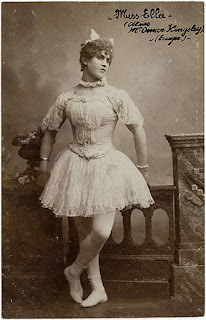 Alice Walkden, born February 3, 1852 at Blackheath, south-east suburb of London, near Greenwich, was the eldest daughter of John Walkden, a member of the Lower House. Ho Kai began his clinical studies at St. Thomas’s Hospital in 1879 and lived in Wimbledon and must have met her around that time. She was seven years older than Ho Kai. I have no idea how they met, but suspect that they might go to the same church or had common friends in the church-going circle. For Victorians, the Walkdens were extremely liberal-minded to allow a cross cultural marriage. In fact, theirs was the first Anglo-Chinese marriage ever to take place. Being liberal alone was not sufficient, in my view, to seal the marriage. There ought to be a high-placed patron who was guiding and helping Ho Kai along the way. Has the Freemasonry had something to do with it, very likely, although I do not know when Ho Kai was raised as a Freemason. One year after the marriage, the couple returned to Hong Kong, joined with them were siblings of Alice Walkden. Alice Ho Kai died on June 8, 1884 from typhoid shortly after given birth to a daughter, whose name was not known to me. Alice Ho Kai had a considerable fortune but after her death Ho Kai gave most of it to her siblings so that they could return to England. They brought with them the infant daughter of Alice and Kai Ho. She died young without having been married. Ho Kai later remarried American Chinese Lily Lai Yuk-hing 黎玉卿. These were the first batch of made-in-Hong Kong doctors; all with relations or backgrounds that traced back to the Rev. Ho Fuk-tong. They were among the first batch of students admitted to the Hong Kong College of Medicine for Chinese (HKCMC) in 1887, and were the diligent ones who graduated with the qualifications of Licentiate in Medicine and Surgery, Hong Kong (L.M.S.H.). Rose Ho Mui-ling 何妙齡, the eldest daughter of the Rev. Ho Fuk-tong, was not a doctor, but had a hospital named after her - the Ho Mui Ling Hospital. Born in 1847, twelve years ahead of Ho Kai, she was described as intelligent, well-educated and a devout Christian. I have yet found information on school(s) she went to other than that she finished schooling (high school level, I presume) early and married, at the age of seventeen, Ng Choy 伍才 – a twenty-two-years-old Magistrate's Court interpreter who hailed from Malacca  and was educated in Hong Kong. At the time of their marriage, Ho Kai was six years old and his father forty six. In 1874, Ng, now thirty two years old and having worked at the Magistrate's Court for thirteen years, wanted to go to England to study law. The plan was supported by wife, Ho Miu-ling, who not only met all the expenses but also accompanied Ng to London where he enrolled at the University College London. This happened three years after the death of the Rev. Ho; Ho Kai was now fifteen. Three years later, he was called to the bar at the Lincoln’s Inn and became the first Chinese to qualify as a barrister. In May the same year, Ng was admitted at the Supreme Court to practice in Hong Kong. He went on to becoming a prominent member of the society including appointments as the first Chinese Justice of the Peace in 1878 and the first Senior Chinese Member of the Legislative Council in 1880 . Representation of the Chinese contingent, which made up of 98% of the population of Hong Kong, in the Legislative Council in the nineteenth century and at the dawn of the twentieth century came almost solely from a single Christian family – that of the Rev. Ho Fuk-tong. Son-in-law Ng Choy was appointed the first Senior Chinese Member (1880-1882). 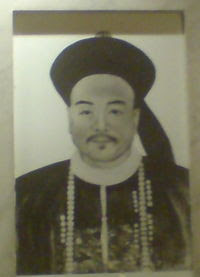 He was succeeded by family friend Wong Shing (1884-1889). Wong was a business partner of Ng Choy as well as a classmate and life-long friend of Dr. Kuan Huang, another son-in-law of Ho. The Rev. 's fourth son Ho Kai succeeded Wong in 1890 and continued to hold office until 1914. Dr. Ho Kai was succeeded by Wei Yuk 韋玉 (1914-1917) who was the son-in-law of Wong Shing. Wei Yuk’s father Wei Kwong 韋光, the head comprador of the Mercantile Bank of India, London and China 有利銀行, bankrolled some of the property transactions of the Rev. Ho. They went on to become close friend. His life took a sharp turn when he left Hong Kong in 1882 with almost no fuss, and reappeared under the alias of Wu Tingfang 伍廷芳 in Tientsin (Tianjin) assuming the all important post of the secretary of Li Hongzhang . For two periods of time from 1896 to 1902 and from 1907 to 1909, Wu was the Qing Minister to USA, Spain and Peru. Following the collapse of the Qing Empire, Wu became the Minister of Justice of the Nanjing Provisional Government of the Republic of China in 1912. He held the two most important portfolios – Foreign Affairs and Finance – as a Minister in Sun Yat-sen’s military government in Canton in 1917; for a short while later in the year he became the acting Premier. His last official position was the Governor of Guangdong which he assumed in 1922; he died in office in the same year. After Wu’s death, Ho Miu-ling returned to Hong Kong and here she lived until she died in 1937. In 1862, two years before the Rev. Ho Fuk-tong was ordained, the Chinese congregation had formed a new society within the Union Church 愉寧堂 and called themselves the Chinese Independent Society (or Chinese Independent Church, still unable to find the exact English name of the Society if there was one) 華人自理會. The Society handled all its affairs independent of the Western missionaries although it was still physically located within the Union Church property. The Rev. Ho was in the center of a substantial property transaction involving the property holdings of the Union Church in this very year, paying the church a sum exceeding HK$25,000. How were these two events linked together, if they were at all linked, I do not know at this point of time. When the Rev. Ho was put in charge of the Union Church, he also took care of the Chinese Independent Society. After his death in 1871, a decade-long standoff between the society and LMS took place over who was to replace him; each was to refute candidates fielded by the other. It wasn’t until 1884, that the Rev. Wang Yuchu 王煜初 was appointed and the society finally had its own pastor for the first time. The appointment was keenly supported by the children of the Rev. Ho, particularly, Ho Kai and his sister Ho Miu-ling. Two years after the Rev. Wang’s appointment, the Society moved out from the Union Church and settled into the new church house named Daoji Mission House 道濟會堂. The church house occupied a part of the land that previously housed the Caldwell residence (at present, No.75, Hollywood Road); while the remaining part (at present, No.77 to 81, Hollywood Road) would be occupied a year later in 1887 by the Alice Memorial Hospital. The land was own by a member of the congregation, Mary Ayow Caldwell, nee Chan Ayow, also known as 高三桂夫人 . The two land lots were valued at over HK$75,000; Mrs. Caldwell took only HK$14,000 from the church. The Society, now known as the Daoji Church (also known as To Tsi Church), would made further substantial contributions towards building schools and hospitals including the Ying Wah Girls’ School 英華女校 (1888) and the Nethersole Hospital (1893). In 1921, the Daoji Church became a member of the Church of Christ in China 中華基督教會; in 1926, it was moved to No.2 Bonham Road and was renamed Hop Yat Church 中華基督教會合一堂. Chan Ayow was the widow of corrupted civil servant, Daniel Richard Caldwell 高和爾 who was a Justice of the Peace, Police Detective, Magistrate, Registrar General & Protector of Chinese, member of the Masonic Order of Hong Kong and, scandalously, protector of pirates and partner of notorious Hong Kong-based pirate Wong Ma-chow 黃墨洲, alias Wong Akee. Caldwell was eventually kicked out of government service in 1861 but remained in the colony offering his service to Chinese operators of gaming and brothel houses. He died in 1879. Chan Ayow was baptized in 1850 as it was required in order for her marriage to Caldwell to be sanctified by the Anglican Church. They married in 1845 following traditional Chinese custom and the marriage was sanctified one year after she was baptized and six years after they were actually married. She became a pious Christian before long. Born in 1843 in Dongguan, Guangdong, Wang Yuchu was son of the first Chinese evangelist of the Rhenish Mission, Wang Yuan-shen 王元深. Wang Yuchu went to the Rhenish evangelist school in Huizhou 惠州 and studied under the guidance of its founder, the Rev. Ferdinand Genähr 葉納清 . Wang Yuchu graduated from the evangelist school in 1866 and was then appointed as a preacher of the Rhenish church in China. In 1874 while being treated for a repeated case of lung disease in Hong Kong under the care of doctors of the Berlin Missionary Society 巴陵信義會, he was offered a teaching job at the orphanage run by the Society which he took and kept for ten years. He was ordained a Rhenish Church minister in 1884 and towards the end of year was seconded to the Daoji Church as its first pastor. He was well liked by the church’s congregation, amongst them Ho Kai, Ho Miu-ling and Sun Yat-sen. The Rev. Genähr was a Prussia missionary of the Barmen Mission (later known as the Rhenish Mission Society), who was sent to China in response to Karl Gützlaff’s appeal to the Prussia missionary societies for more evangelist to work in China. After arriving in China in 1847, he initially worked under the guidance of Gützlaff, who was the mentor and baptizer of Wang Yuan-shen. Karl Gützlaff, a Prussian missionary worked independently in China, was a controversial character at his time who aided the proliferation of opium in China as well as spying for the British Forces during the First Opium War. Chalmers took charge of the LMS mission in Hong Kong in 1880. A linguist and a prolific writer about China, its culture and language, Chalmers learnt the Chinese language from a young Chinese Christian named Hung Jen-kan, Hong Rengan (pinyin) 洪仁玕 (b.1822-d.1864), alias Hong Rengan, who would later become Prince-Gan 干王, generalissimo, and premier of Taiping Heavenly Kingdom 太平天囯. Prof. Wong Sai-yan* 王世恩; nephew; admitted (1887), classmate of Dr. Sun Yat-sen and close friend of Dr. Kwan Sun-yin;; graduated with L.M.S.H. (1895); practiced in Hong Kong, Selangor and later in Guangzhou; founded the Guangzhou Guonghua Medical College 廣東光華醫學院, which was the first medical college in China independent of any support from the West. A cradle of medical professionals in South China, the medical college turned out 658 graduates during its existence between 1908 and 1953. Among the most pious members of the congregation of the Union Church and later of the Daoji Church were elder Kwan Yuen-cheong 關元昌 (originally Kwan Jang-yung 關振容, b.1832-d.1912), and his wife Lai A-mui 黎亞妹. 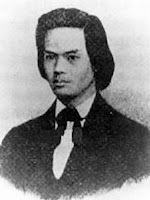 Kwan’s father, Kwan Yat 關日, was one of the very first batch of ten converts baptized by Robert Morrison in Guangzhou (Canton). Kwan Yat later moved to Malacca and worked for the LMS mission there. Ho-Fuk-tong’s father and Liang Fa would follow his footsteps. Nothing much was written about the childhood of Kwan Yuen-cheong except that he and his brother Kwan Yuet-fat were students of the Anglo-Chinese College in Malacca. When the college moved to Hong Kong in 1843, they came along (naturally together with James Legge and Ho Fuk-tong). Kwan Yuen-cheong was eleven years old. In Hong Kong, the brothers studied under the tutorship of, among others, Ho Fuk-tong. After graduated from the college, Kwan stayed on and worked briefly at the college press. He then met an American dentist named Collins who practiced in Hong Kong. 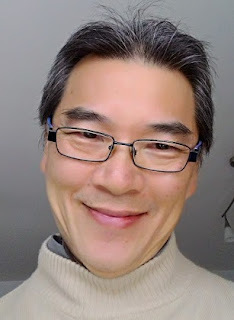 Kwan left the college press and learnt dentistry from Collins as an apprentice. Kwan became the first Chinese dentistry practitioner in Hong Kong  and in 1874 he moved his practice to Guangzhou (Canton) but returned to Hong Kong only after a few years. He continued to practice in Hong Kong until his retirement. Kwan Yuen-cheong was best known as the first Chinese dentistry practitioner in China and Hong Kong. The first university-trained Chinese dentist would not appear until the next century. He was Hong Kong-born Chaun Moon-hung, a graduate of the University of Pennsylvania in 1901. There was a small ring of people in the Daoji Church who regularly met and discussed current topics -- mostly relating to the appalling state of the nation and ideas for remedial actions. They included Kwan Yuen-cheong, deacon Au Fung-chi 區鳳墀, the Rev. Wang Yuchu, his first son Wang Chung-hui 王寵惠 , Dr. Wan Man-kai 尹文楷* (son-in-law of Au Fung-chi; inaugural Chairman of the Hong Kong Chinese Medical Association 1920-1922), Wong Wing-seung 黃詠商 (second son of Wong Shing; active revolutionary; founded Hsing Chun Hui - the Revive China Society - 興中會 in 1894), property developer Lee Gei-tong 李紀堂, Dr. Ho Kai and his favorite student Sun Yat-sen.
Lai A-mui, b.1839-d.1902, was born into a wealthy family in Xiqiaoshan, Nanhai, which was also the birthplace of the Rev. Ho Fuk-tong. The family took refuge away from Nanhai at a time when heavy fighting occurred between the Qing army and the Taiping rebels. Her mother died while on route to Guangzhou (Canton). She was abandoned by her father once they arrived in Guangzhou. Lai was found wondering the streets by Mary Ayow Caldwell (yes, small world!) who took her in and raised her like a daughter. Lai attended the Daoji Church’s Ying Wah Grils’ School and was well versed in the English language. She took up a teaching job at her alma mater - teaching Chinese language - after her graduation. She was at one time hired as a court interpreter and would therefore be Hong Kong’s first woman interpreter. When the Alice Memorial Hospital and the Medical College opened, she was appointed an interpreter, later worked as a nurse or even headed a team of nurses. I have no information on where and by whom she was trained, but her existence at the hospital was confirmed in a report made by Helen Stevens, the matron appointed by LMS to the Alice Memorial Hospital in 1891. She said that when she arrived at the hospital, there was already a Chinese matron by the name of Kwan Lai-si 關黎氏 (this wasn’t her alias; the name can be best translated as Mrs. Kwan, nee Lai, which was a very common way a married woman was addressed at those days), who although knew not much about nursing had even trained another woman as her assistant. Lai A-mui impressed Stevens as a very intelligent person. This would place Lai A-mui as Hong Kong’s first nurse or even matron. Kwan and Lai had fifteen children. Four out of the ten boys became doctors, while three of the girls became nurses or midwives. No less than thirty doctors would emerge from this family in the following four generations. The most famous son and doctor surely was Kwan Sun-yin 關心焉*. A far more famous one was quasi-godson Sun Yat-sen. Kwan junior and Sun enrolled at the Hong Kong Medical College for Chinese (HKCMC) together, they were roommates throughout Sun’s tenure at the HKCMC. Sun introduced to Kwan the latter’s future wife and performed as a witness at their marriage ceremony. The wedding was held at the Daoji Church, and the other witness to the marriage ceremony was Dr. Wong Sai-yan, nephew of the Rev. Wong Yuchu. Kwan, although graduated one year after Sun in 1893, became the first HKCMC licentiate to practice in Hong Kong. He was appointed a house surgeon at the Nethersole Hospital following his graduation.